For the third straight summer, the chiller system that is supposed to cool Metro’s Dupont Circle and Farragut North stations will not be working, WTOP has learned. WASHINGTON — For the third straight summer, the chiller system that is supposed to cool Metro’s Dupont Circle and Farragut North stations will not be working, WTOP has learned. Instead, Metro, the D.C. government and the Business Improvement District for the area are in the process of renting equipment “as early as June” that could work to cool off the air in both stations. If the connections hold up, that addition this summer would provide the first relief for riders on the Dupont Circle and Farragut North platforms since the summer of 2015. The single system that cools both stations has been crippled by apparent leaks in the lines used to circulate the chilled water. The lines that are broken connect a pumping plant beneath the median of Connecticut Avenue to a cooling tower on the roof of a building at Connecticut Avenue and L Street Northwest. “Since 2015, Metro and its contractors have made multiple attempts to repair the pipes, including identifying and patching individual leaks, followed by a complete relining of the pipes from within. Unfortunately, none of the repair strategies applied to date has been successful,” Metro spokesman Richard Jordan said in an email. A Metro contractor is still trying to determine the best way to permanently fix the problem, a process that began last year. That fix could involve digging up Connecticut Avenue to completely replace the original pipes, which could cause significant traffic problems. “The independent engineering review will identify solutions and strategies that minimize this impact to the extent possible, and we will continue to work with DDOT, Golden Triangle BID, and other stakeholders throughout the project,” Jordan said. The separate part of the system that runs the cooled water between the pumping plant and the Dupont Circle and Farragut North stations does not have any apparent problems, Metro spokesman Dan Stessel said. Since those pipes are working, a temporary cooling tower is expected to be rented and placed near Connecticut Avenue and Desales Street Northwest in the next few months. That tower could be connected to the pumping plant to provide Metro’s usual level of cooling at underground stations. Stessel said the temporary cooling tower would be in a place approved by DDOT and the business improvement district, since it is can be somewhat noisy. 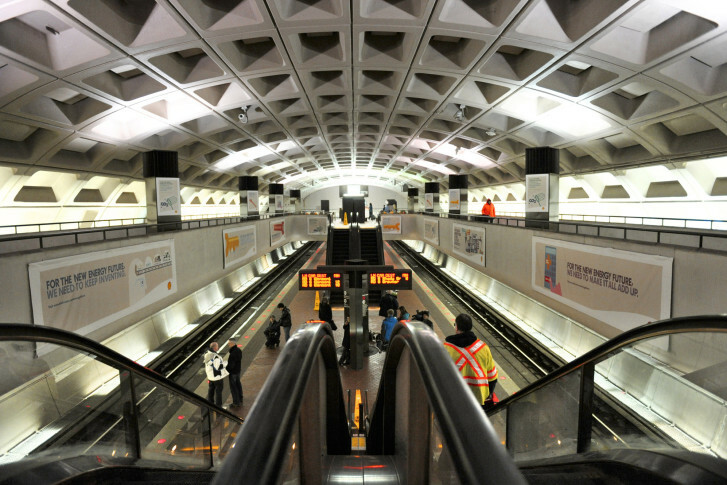 Dupont Circle and Farragut North are among the oldest and busiest stations in the Metro system. Metro does not have capital funding plans to replace the system’s chillers, but a replacement plan is now under consideration.